Lighting by Hammerworks handcrafted Copper Hanging Onion Lantern HRG12 will make a statement wherever it is placed. These impressive Copper Hanging Onion Lights are proudly made in America. 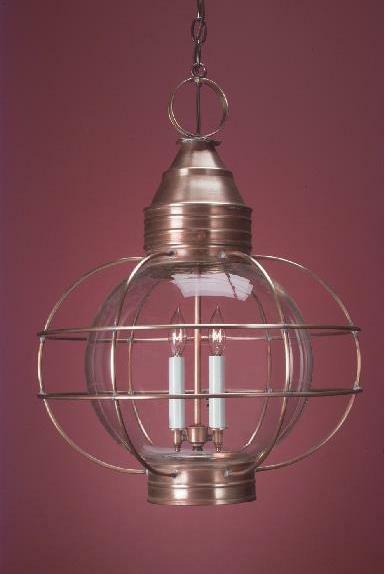 First and foremost the 12″ round onion globe makes this the largest of our Hanging Copper Onion Lights. Thus it is an ideal choice for any area with a high ceiling. In addition we make Colonial Hanging Lights out of solid copper or brass. Furthermore we offer custom finish options of painted black and verdigris copper upon request. 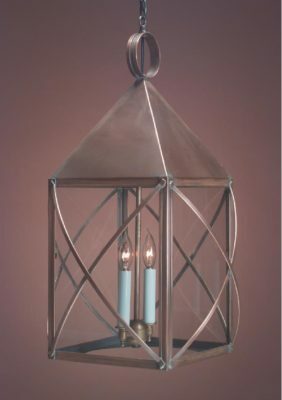 Most importantly the HRG12 Copper Hanging Onion Lantern is part of a matching collection of Colonial Onion Lights. Thus you will find the PRG12 Colonial Onion Post Lanterns and the RG12 Colonial Onion Wall Light for a uniform look throughout. Not only that, if you prefer Colonial Onion Lights with the “squat” onion shape, we offer several sizes and styles. 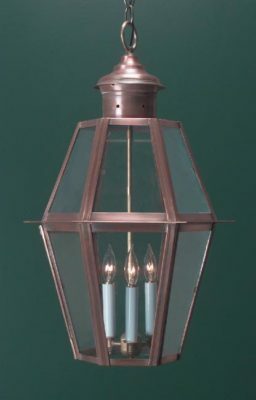 Whether you own a Classic Cape Cod Style, Reproduction Early American Colonial or New England Farmhouse we have the Onion lighting collection for you. In addition to outdoor areas, Colonial Onion Ceiling Lanterns and Hanging Lanterns are often place throughout interior locations. First of all many customers choose to place a hanging light in the front entry or hallway. Not only that, they are an attractive alternative as kitchen pendant lights. One unique option is to group together 2 or 3 of them over a kitchen counter or island. In addition, with so many sizes and styles to choose from, you can integrate them throughout a kitchen, dining, great room area. Of course if you prefer to mix and match your lighting, you can choose one of our Colonial Wooden Chandeliers. 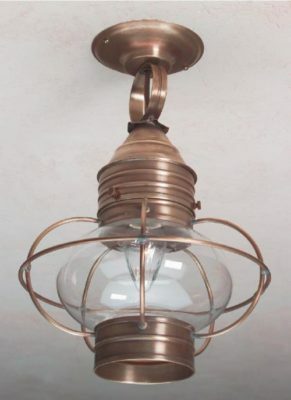 Or perhaps you prefer Colonial Ceiling Lights to coordinate with your Copper Hanging Onion Lantern. No matter what we offer a solution to any area in your home that requires overhead lighting.